Following a career that spanned over 60 years, Sr Paula McAdam was remembered for her faithful service to God, her adventurous ways, her kindness and most importantly for her attentive presence to the community. Photo: Supplied. Following a career that spanned more than 60 years, Sr Paula McAdam was remembered for her faithful service to God, her adventurous ways, kindness and most importantly for her attentive presence to the community. Sr Paula passed away on 5 May at the age of 82. Her funeral Mass was held at the Redemptorist Monastery North Perth on 18 May. The celebrants were Frs Michael McMahon OMI and Michael Separovich. Moira Stokes, in addition to her nephew Peter Stokes. Fellow religious from the Sisters of Mercy were also present for the occasion, including Sr Beverley Stott RSM whose eulogy of Sr Paula was heartfelt and resonated with everyone present. Born on 11 October 1934, Sr Paul was the youngest of seven children and began her religious life at St Mary’s Convent in Leederville in February 1953, making her final profession in September 1955 at the then Sisters of Mercy West Perth. 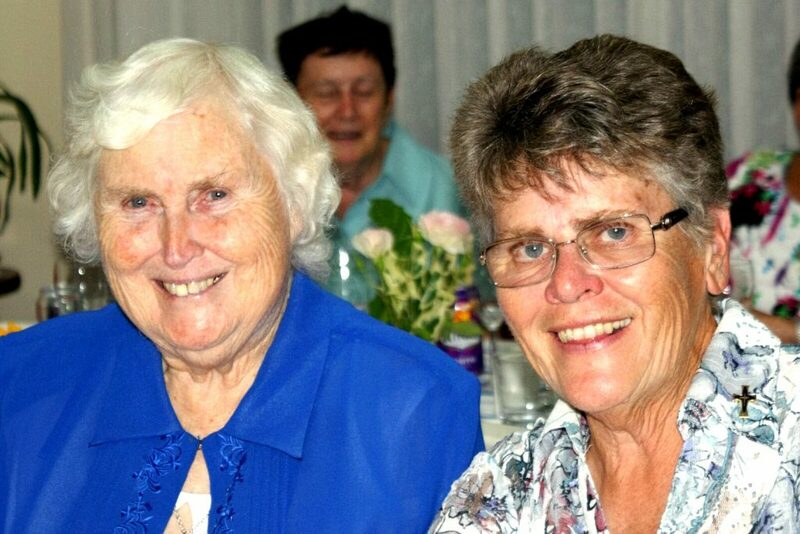 Fellow Mercy Sister Beverley Stott RSM, who delivered the Eulogy at the funeral Mass on 18 May, spoke fondly of Sr Paula’s life, reminiscing her youth, her life with the Sisters of Mercy and her service to the community. 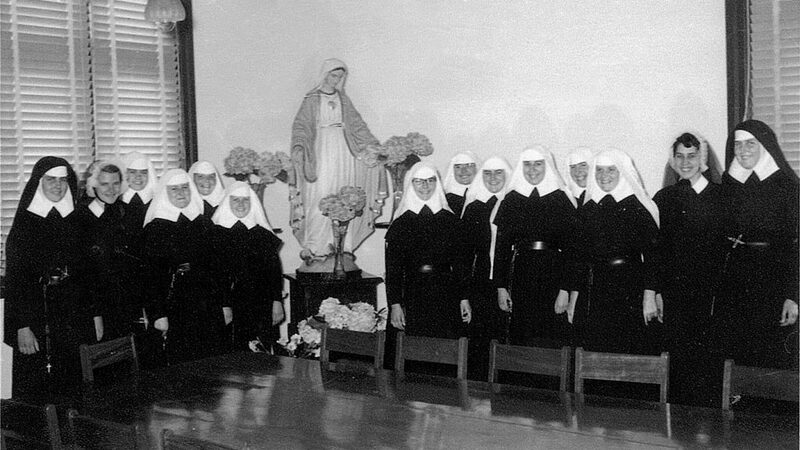 Sr Paula McAdam (far right) with the novitiate group at St Mary’s Convent in Leederville in February 1957. Photo: Supplied. With Sr Paula’s ministry spanning more than 50 years and she started just like everyone else, Sr Beverley said. “She became a teacher gaining her professional qualifications at Graylands Teachers College. 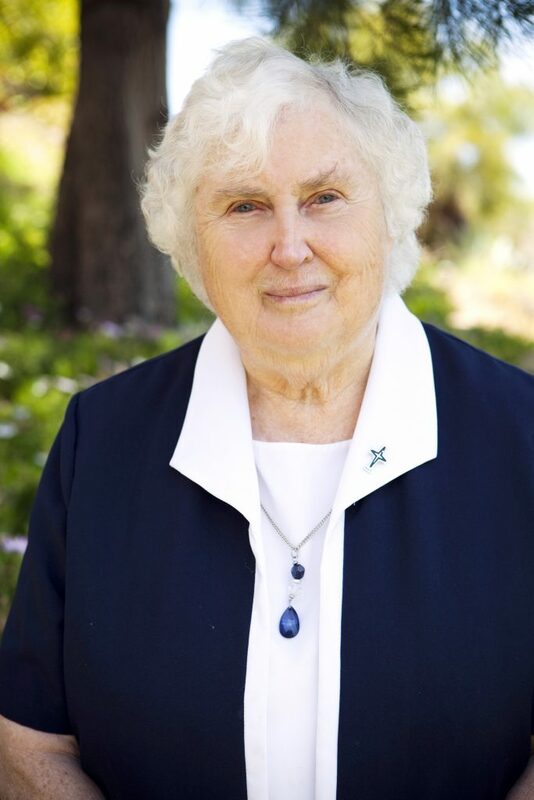 Over the years Sr Paula added many other learning experiences and qualifications at Edith Cowan University, Catholic Pastoral Institute, Institute of Religious Formation in St Louis Missouri, Boston College in the US and at Kairos in Sydney NSW. In one period of study she wrote a thesis, the subject of which is the history of St Brigid’s Convent,” Sr Beverley said. Her teaching career took her far and wide from Leederville, Tuart Hill to West Perth, Koondoola and Lesmurdie. From 1972 to 1975, she served as founding principal of Mercy College Koondoola and then again from 1981 to 1982. She was also Principal at St Brigid’s Lesmurdie from 1984 to 1990. “She worked at Villa Maria Aged Care in Lesmurdie as Activity Officer and then as Manager of the Independent Living Units, where for a number of years she followed her passion (and a long-standing custom back at St Brigid’s in West Perth) running fetes at the village. Sr Paula McAdam welcoming Sr Marie Duffy RSM as the new Community Leader in 2016. Photo: Supplied. During this time Sr Paula was part of the founding of the Diversional Therapists Association in WA. “She also served on a number of boards, the last being time spent as Chair of the House of Hospitality Management Committee, as Local Superior of the community as well as Congregation Leadership Team where she was greatly valued as a careful listener and giver of astute advice,” Sr Beverley added. A person of tall stature, Sr Paula always insisted on correctness which is talked about among many of the school girls today. A lover of travel, Sr Beverley recalled that Sr Paula will also be remembered for her openness; not put off by small obstacles, anxious to experience a broader world and was the possessor of a happy independent spirit. “Her love for the open road began when she was a teenager when she travelled with her mother by ship to Europe. Since then she has visited a fair portion of the world – USA, Europe, UK and many places in Australia,” Sr Beverley said. “Paula has brought into the lives of the members of the Congregation and to those she served in the schools and other places of merciful caring a lively intelligence, a love of history and an ability to tell the stories, her clever wit and a faithful attachment to the Sisters of Mercy, both her own primary community and now the Sisters of Mercy of the Institute of Australia and Papua New Guinea. “Our memories of her life will serve as a challenge to our living on into the future. In our continuing lives, we may be privileged to pull together some of her unfinished agendas,” Sr Beverley concluded.